A preliminary study shows the precedent of quantum regeneration of a dog’s tooth. Regeneration was carried out by a special laser technology based on an expanded understanding of the principles of genetic coding. One principle predicts the existence of quantum equivalents of working genes. This we proved experimentally. The multipotent mesenchymal stromal cells (MMSCs) derived from human adipose tissue were pre-treated with human tooth rudiment quantum genetic information (MBER). The control symmetrical area from the removed tooth was left unchanged. After 9 months, a complete regeneration of the dog's tooth was observed. In the control area, there was no regeneration. The proposed briefly outlined work is devoted to an attempt to regenerate the dog's tooth using the method of a new direction in biology - Linguistic-wave genetics. The work should be considered a precedent, and it will be continued. A close experimental work on the regeneration of the diabetic foot was carried out by us recently. Multipotent mesenchymal stromal cells derived from human adipose tissue were used for transplantation. Cellular suspension from adipose tissue was diluted with Dulbecco's Phosphate Buffered Saline (DPBS), ("Gibco") 1:2, layered on a density gradient of Histopaque 1.077 ("Sigma") and centrifuged for 30 minutes at 600g. Then, interfacial mononuclear rings were collected into centrifugal test tubes ("Corning"), washed by centrifugation in excess DPBS. The resulting cell sediment was resuspended in a culture medium and placed in culture test tubes ("Corning", 25cm2) and transferred to a 37°C constant incubator with 5% carbon dioxide gas. The culture medium consisted of DMEM/F12 supplemented with 25mM HEPES, 2mM L-glutamine, 2mM sodium pyruvate, 100U/ml penicillin, 100μg/ ml streptomycin and 10% fetal bovine serum (all of the above are the reagents of “Gibco”). The medium with non-adherent cells was removed. The cells, attached to the plastic on the bottom of the culture flask, were gently washed with DPBS, the medium was completely replaced. Subsequent medium replacements were carried out every 2-3days; the cultures were examined using phase-contrast microscopy. As the culture was cultured and the subconfluent state reached, the cells were trypsinized with a solution of Trypsin-EDTA ("Gibco") and passaged 1: 2. For the experiment we used a culture of passage 3, 1 million cells were placed in a tooth socket. A demonstrative precedent for (in situ) regeneration of organs and tissues with the help of quantum genes on spintronic principles. This, as well as other precedents of quantum and linguistic-wave genetics (based on relatively simply laser technologies) open an infinite realm of quantum recombinational genetics for regenerative medicine development (Figure 1 & Figure 2). 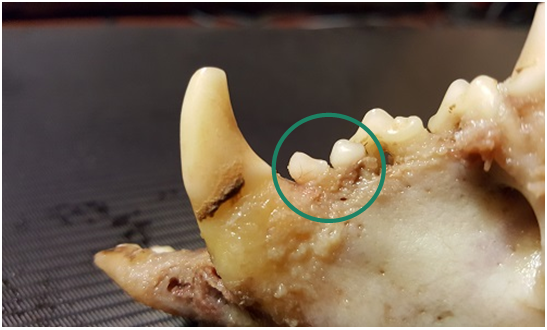 Figure 1 Dog’s left upper jaw where the tooth was removed. No multipotent mesenchymal stem cells (MMSCs) introduced. 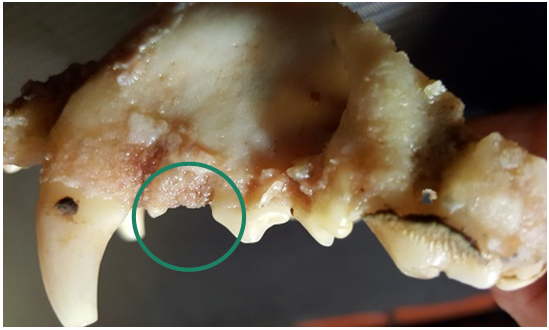 Figure 2 Dog’s right upper jaw where multipotent mesenchymal stem cells (MMSCs) was introduced with subsequent tooth regeneration. Modulated Broadband Electromagnetic Radiation (MBER) was synthesized from the surgically removed rudiment of a human molar. Multipotent mesenchymal stromal cells (MMSCs) were extracted from human adipose tissue. These MMSCs were irradiated with the synthesized MBER and were grown to the required concentration. Prior to the MMSCs introduction, the dog's teeth were removed from the right and left sides of the upper jaw. The programmed MMSCs were introduced into the right upper jaw in the place of the removed tooth. This resulted in regeneration of a new tooth over 9 months (lower photo). A frequency-stabilized Helium-Neon laser with two orthogonal optical modes was used to transfer the quantum genetic information, which read the genetic information from the rudiment of the human tooth. Such information was spontaneously transformed into modulated broadband electromagnetic radiation (MBER) carrying the same information, initially recorded on polarization modulation (spin states) of probing photons in the mode of returning the laser beam back to its resonator. Thus, the precedent of regeneration by the method of wave genetics of a dog’s tooth was recorded using human genetic information. The second factor is the conversion of human genetic information into canine genetic information. This study for greater evidence continues in experimental and theoretical terms. Author declares that there is none of the conflicts. Gariaev PP. Another Understanding of the Model of Genetic Code Theoretical. Analysis. Open Journal of Genetics. 2015;5(2):92‒109. Gariaev PP, Leonova-Gariaeva EA. The Syhomy of the Genetic Code Is the Path to the Real Speech Characteristics of the Encoded Proteins. Open Journal of Genetics. 2018;8(2):23‒33. Prangishvili IV, Gariaev PP, Tertyshny GG, et al. Spectroscopy of radio-wave radiations of localized photons: exit to quantum-nonlocal bioinformation processes. Sensors and Systems. 2000;9(18):2‒13. Gariaev PP, Vladychenskaya IP, Leonova Gariaeva EA. PCR Amplification of Phantom DNA Recorded as Potential Quantum Equivalent of Material DNA. DNA Decipher Journal. 2016;6(1):1‒11. Gariaev PP, Poltavtseva RA, Leonova Gariaeva EA, et al. Practical Application of Linguistic Wave Genetics (LWG) Principle in creating Quantum Information Matrices (QIM) used for Programming Plain Liquids into Medically Active Liquids, called Quantum Information Matrix Programmed Liquids (QIMPL). Clinical Epigenetics. 2017;3:22. ©2018 Gariaev et al. This is an open access article distributed under the terms of the Creative Commons Attribution License, which permits unrestricted use, distribution, and build upon your work non-commercially.